A great photo of former NWA World champions Harley Race and Terry Funk together at Fanfest in 2005. Race defeated Funk for the NWA title in February of 1977 in Toronto. A cool TV Guide ad from October of 1975 featuring the Action 5 news team at WRAL in Raleigh, NC. 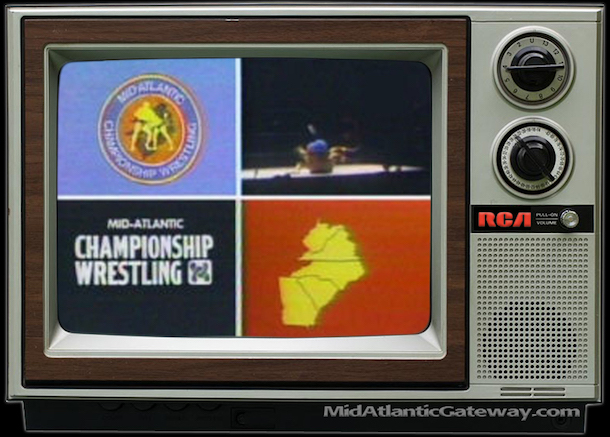 Included are the two main faces and voices of Mid-Atlantic Wrestling during the 1960s and 1970s, Nick Pond and Bob Caudle. We're taking a short break from publishing on the Gateway, but will be back soon. In the meantime, catch up on some of the recent posts and series that you may have missed. There is so much to enjoy here. Thousands of pages of memories, photographs, posters, newspaper clippings, vintage audio, results, stories, historical narratives, and so much more. We hope you will enjoy!